Simplus | Entrepreneur: Amy Cook's DF18 article featured! 08 Oct Entrepreneur: Amy Cook’s DF18 article featured! Amy Cook, VP of Marketing here at Simplus, has recently been featured on Entrepreneur for her article covering Marc Benioff’s keynote address at Dreamforce 2018! 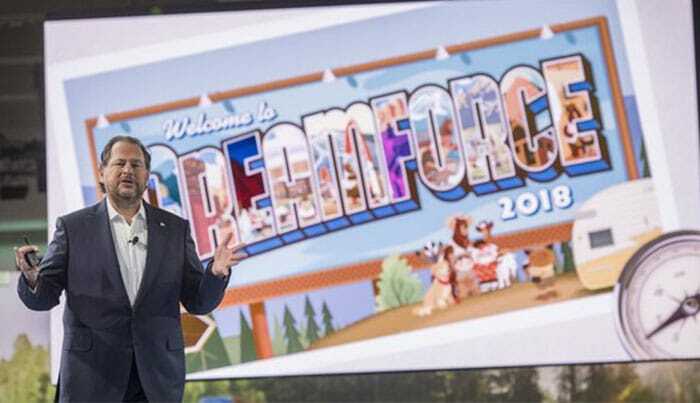 Benioff’s keynote delivered product news and insights into the values of Salesforce moving into the future. You can catch highlights of the article below or read the full piece here. For more insights into company culture and entrepreneurship, take a look at Amy’s profile on Entrepreneur.